Short Product Description: This is a large, long-lasting 6 oz. bar of our luxurious soap. This is a large, long-lasting 6 oz. 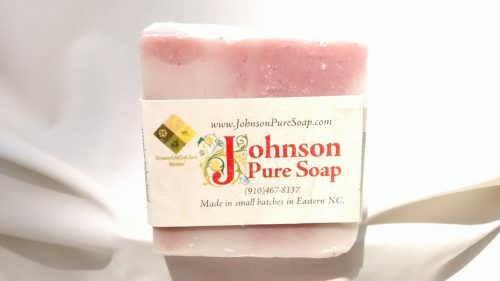 bar of our luxurious soap. 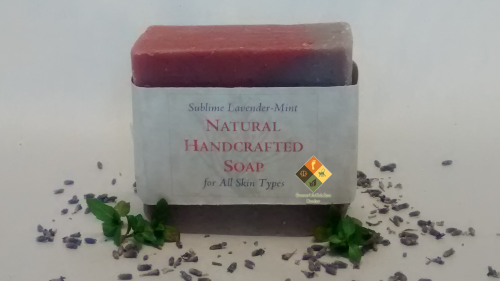 Our all-natural ingredient list is: Palm oil, water, coconut oil, sodium hydroxide, castor oil, alkanet root powder, madder root powder, lavender essential oil, and peppermint essential oil. 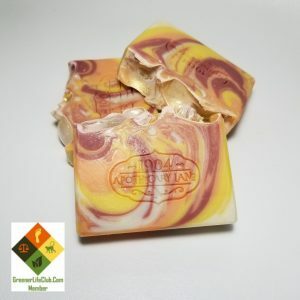 Please note that each bar’s color and shape varies some because it is handmade in small batches. Each one is shrink-wrapped and labeled. You will find this bar to be refreshing yet relaxing!